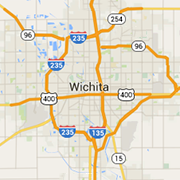 Check out our selection of Wichita pet stores for dogs, cats, exotic pets, grooming and supplies. We are delighted for you to consider adopting a shelter pet. When you adopt a pet from an animal shelter, you are literally saving a life! Offering top-of-the-line pet boarding, day care, day play and grooming services, where all pets are pampered.